Over the past few months, Magic Noodle kept popping-up on my social media streams. From Instagram to food blogs, all of the photos and reviews looked super promising. 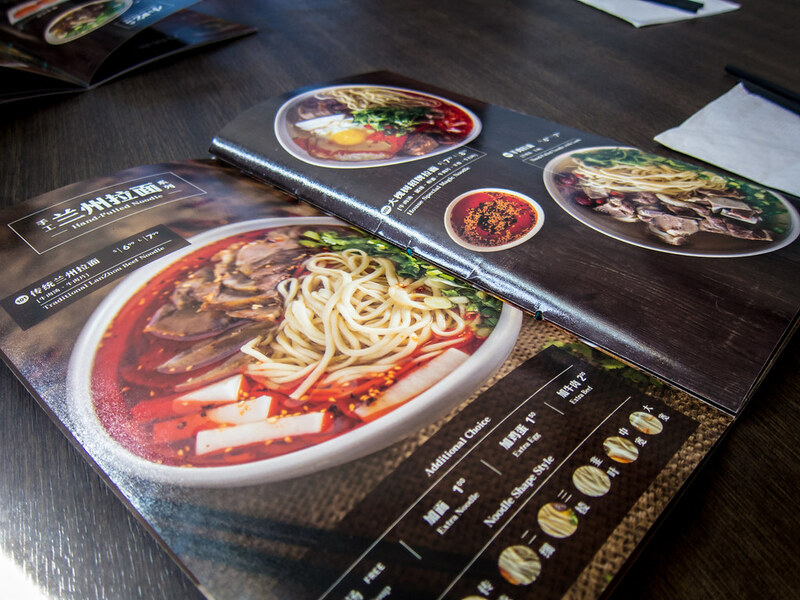 Atmosphere: The Scarborough location of Magic Noodle is open 24/7, a rarity in Toronto. This meant that I could plan for an early lunch, 11am, and beat the crowd. Even at 11, quite a few tables were already occupied and by the time we left at noon, there was a wait. The space inside was clean, modern and and compact with only 30-40 seats. The majority of tables sat 2-4 diners. The banging of noodles being pulled couldn’t be heard in the dining area. Service: Service was standard for a quick Asian eatery. Once seated, we were brought menus and a jug of water with lemon. 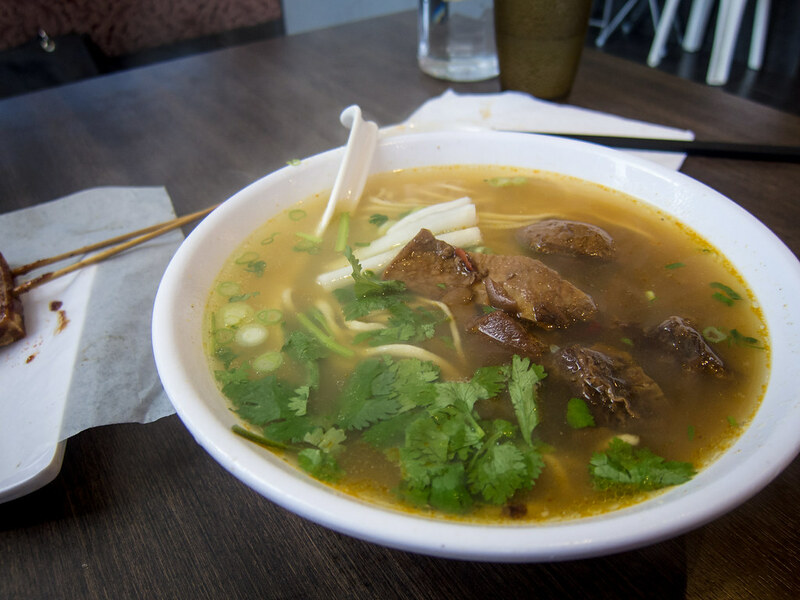 With the hand pulled noodles, you’re able to specify the type of noodle from thin to wide. 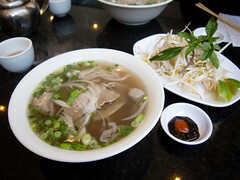 Our bowls of noodles arrived quickly and hot from the kitchen but the side dishes were less punctual. Two side dishes arrived before our noodles, the tofu skewer during the middle of the meal and then the chive pancake wasn’t until we were near the bottom of our bowls. Food: For side dishes, we tried the pork and chive steamed bun, sliced pig ear in soy sauce, fried chive pancake and sizzling tofu skewer. The Fiance enjoyed the steamed bun so much he was happy I declined a bite. 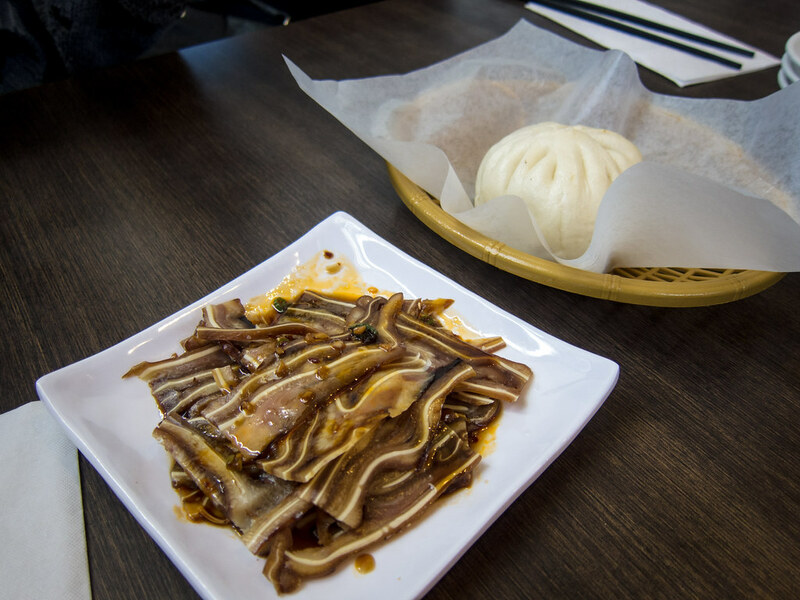 The sliced pig ear was thin, a simple dish and couldn’t used some peanuts or cilantro. 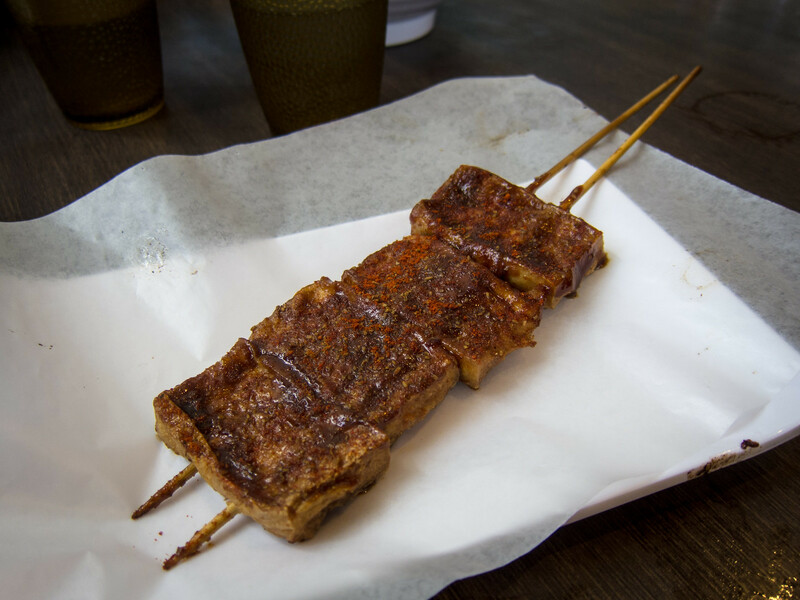 On the other hand, the tofu skewer was super seasoned with a sweet sauce and spices, best eaten while still hot. 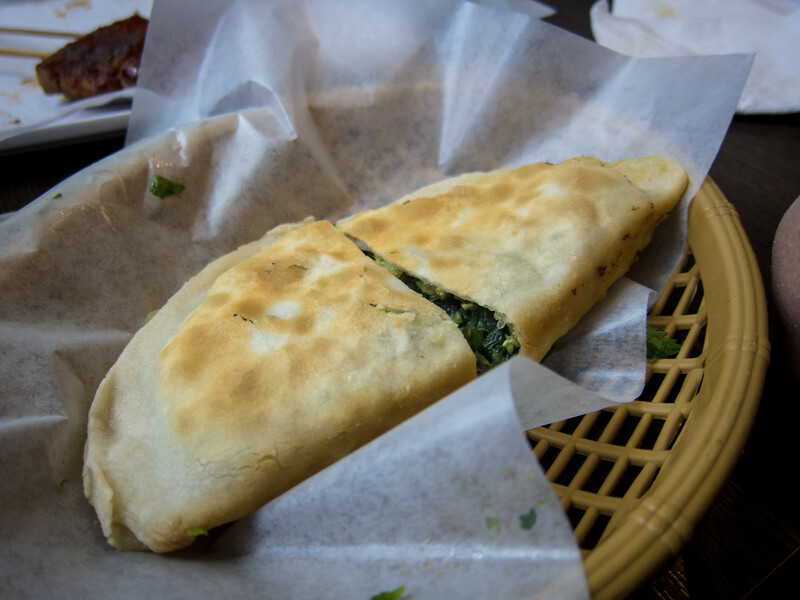 I found the wrapped on the chive pancake a little thin, more flakey than doughy (the way my mom makes them). 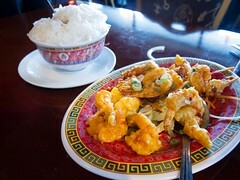 The filling of chives, chopped vermicelli and egg was generous and well seasoned. 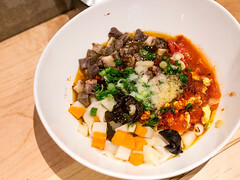 The Fiance ordered a bowl of Hand Pulled Noodles with Beef Brisket. 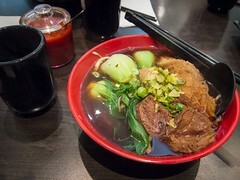 I loved how complex the broth was, so much depth of flavour while still being light. 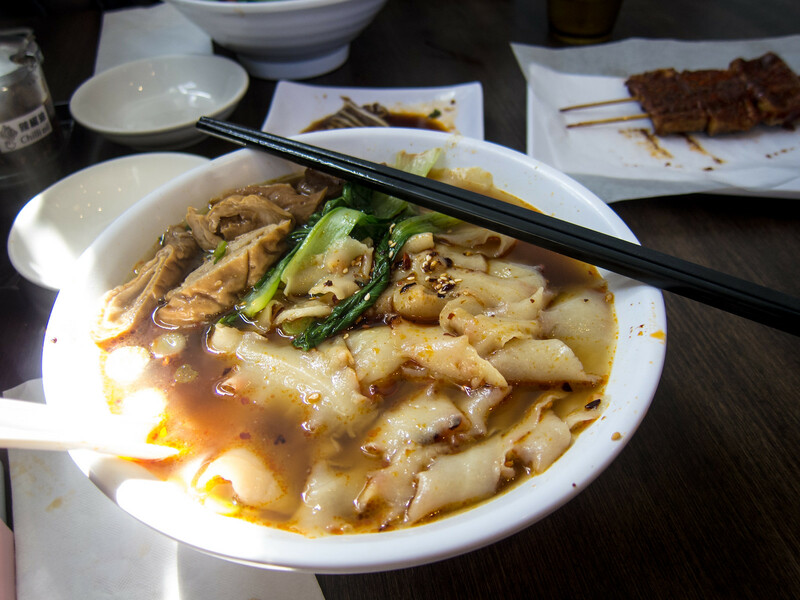 The noodles had a perfect texture, chewy, springy and consistent. I could eat a bowl of these noodles on a daily basis. For myself, I chose the Hand Shaved Noodle with Spicy Pork Intestines. I love hand shaved noodles and it’s a special dish my mom would make for me on weekends. The fat, chewy “noodles” of varying thicknesses and length were perfect. Even better than my mom’s. Based on the menu image, I was expecting the pork intestines to be sliced up thinly, but they were actually in big chunks, a little less appetizing but still tender and delicious. Compared to the beef brisket, I found my soup needing a little more oomph and added spoonfuls of chilli oil and a dash of Chinese vinegar. Another point of authenticity was how the bowl of noodles seemed to be never ending. The fact that they were expanding, soaking up the soup faster than I could eat them, was a sign of how fresh the noodles were. 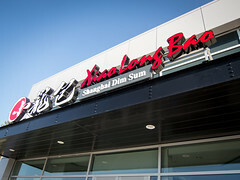 Overall, I think I’ve found a new place to quench my noodle cravings.